Grilld Mt Lawley and Grilld Shafto Lane are massive supporters. They have hosted events at their restaurants, BFWA have been recipients of their infamous bottle top donations, and they have been involved with purchasing land at Huayjakan, the site of a community noodle shop and fuel station. Grilld also provided the Thai coordinator with a robust 4WD vehicle, invaluable for his work in the mountains.. Sarah and Evan Hewitt, the owners, as well as staff members have made several trips to Thailand to see the work. Siam Winery, Journey of Love Project. This joyous partnership has delivered blankets, jackets, sports equipment to the most needy hill tribe villages and hostels. Rotary, With donations from Rotary Clubs in Australia and the US, valuable infrastructure has been donated. 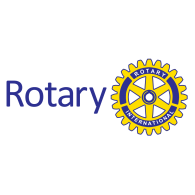 Rotary Australia Word Community Service Ltd (RAWCS) support BFWA by allowing donations to be made through them to allow for tax-deductible donations. RAWCS funds have supported many events, sustainable agriculture and building projects. Happy Hands Foundation was the organisation that launched our sponsor a child program. For the first two years they managed this program and helped us find sponsors. Please get in touch if you would like to know more about becoming one of our corporate sponsors. We would love to talk to you – even a little goes a very long way. If you would like to discuss becoming a partner with us, please fill out the form below and we will get back to you.